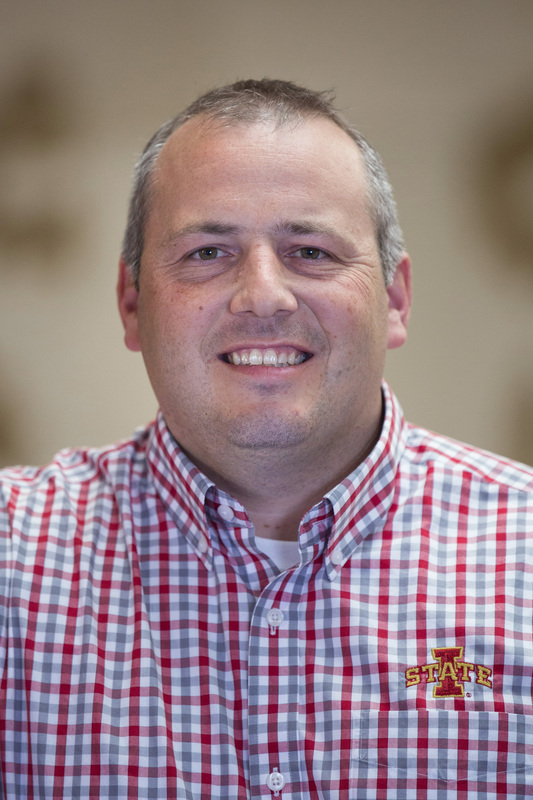 AMES, Iowa — Jason Ross, Lloyd L. Anderson Professor in Physiology and an associate professor of animal science at Iowa State University, has been appointed as the director of the Iowa Pork Industry Center at Iowa State, effective Oct. 1. Ross succeeds Jay Harmon, who has served as interim director since July 2014. Ross received his bachelor’s degree in animal science at Iowa State in 2000. He returned in 2008 to join the animal science faculty and continue his research, after completing his graduate degrees at Oklahoma State University and a postdoctoral appointment at the University of Missouri with Randy Prather, a world-renowned leader in the development of genetically modified pigs. He holds courtesy appointments at the College of Veterinary Medicine at Iowa State, in the departments of Biomedical Sciences and Veterinary Diagnostic and Production Animal Medicine. In 2012, Ross was the recipient of the College of Agriculture and Life Sciences Early Achievement in Research Award. In 2014, he received the American Society of Animal Science Early Career Achievement Award and was presented the Lloyd Anderson Endowed Professorship in Physiology, recognizing his contributions to the field of animal physiology. In addition to strengthening relationships with industry stakeholders, Ross is looking forward to strengthening relationships among faculty in different departments who have an interest in swine production. “I see an opportunity to strengthen the whole interface between the College of Agriculture and Life Sciences and the College of Veterinary Medicine and the industry; to add synergies in research, outreach and education of producers. I also see a lot of opportunities to work with partners like the Iowa Pork Producers Association and other groups that are invested in positively influencing animal agriculture in Iowa. Those are things that I look forward to doing,” Ross said.